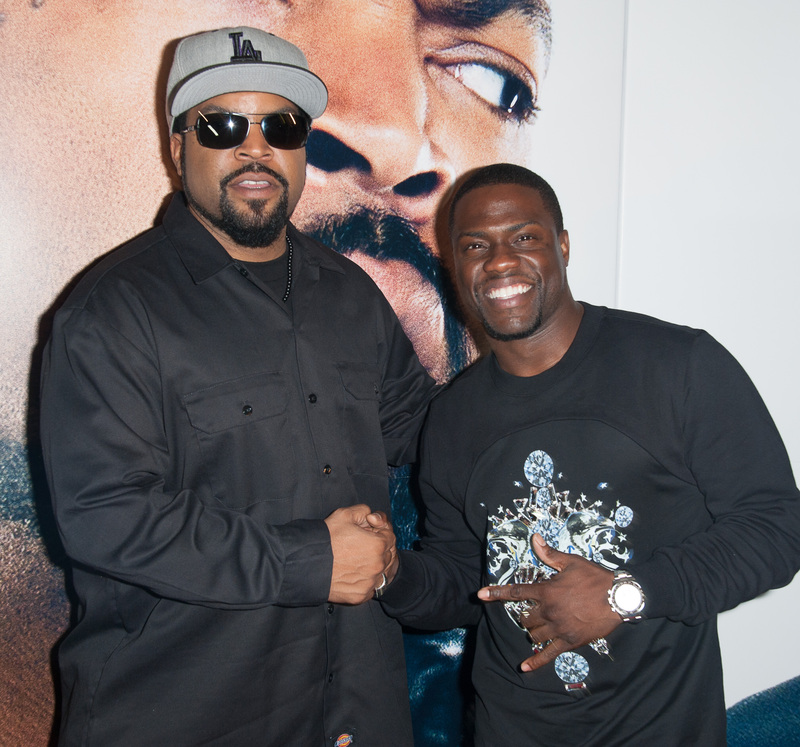 Kevin Hart's 'Ride Along' Beats Out All Other Box Office Competition, But How? Released in time for a Martin Luther King Jr. four day weekend debut, Ride Along , produced by Universal Studios, has surpassed all expectations... and all other movies. Ride Along's competition, Tom Clancy-based Jack Ryan: Shadow Recruit, starring Chris Pine and Keira Knightley, and Lone Survivor, starring Mark Whalberg and Taylor Kitsch, came in at $17.2 million and $23.2 million, respectively. In fact, the cop comedy is shaping up to be the highest-grossing MLK Jr. Day release ever. Proving that all people, not just the supposed African-American demographic, are lining up to catch rapper/actor Ice Cube and the quick witted Kevin Hart in action. The plot of Ride Along centers on Hart's security guard character trying to win Cube's detective character's favor in order to woo his sister. Hart and Cube's off-kilter and Odd Couple-like chemistry makes it blatantly evident why this movie has become a success and a favorite among North American audiences, despite it being labeled as "black" movie. Ride Along works because it is funny, it flows, and it is a welcome contrast to the heavy-hearted Lone Survivor and CIA based Shadow Recruit. Bustle writer Samantha Jaffe may have put it best in her article, 'The Best Man Holiday' and What "Overperforming" Means For Black Filmmakers, when she described The Best Man Holiday as, "...a film about Christmas. It’s a film about religion. It’s a film about relationships and friendships and reunion." In the same way, Ride Along is a movie about a man trying to prove to his girlfriend's family that he deserves her, he just so happens to be black. These stories are universal. (Hello, Meet the Parents!) They are not specific to race or gender or creed. Why shouldn't a movie such as Ride Along break all box office expectations? Why shouldn't it do just as well, if not better, than its competition?